← Which Trump Will We See After January 20? President-elect Donald J. Trump will be sworn in January 20th as the nation’s 45th president, following the most contentious, hate-filled presidential campaign in the nation’s history. Hillary Clinton, Trump’s Democratic challenger, won the 2016 popular vote by more than a 2 percent majority. According to the Cook Political Report, Clinton’s final vote was 65,844,610, compared to Donald Trump’s 62,979,636. That is a difference of 2,864,974 in Clinton’s favor. The total number of votes for other candidates was 7,804,213. How did this happen? History will blame Trump’s victory on the archaic Electoral College. But that will not be accurate. We, the American voting public, did it to ourselves. 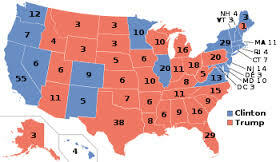 The Electoral College has been the basis of our presidential elections since the Founding Fathers at the 1787 Constitutional Convention, arrived at a compromise to keep the smaller states within the newly formed democracy. There is agitation to change the process, but don’t hold your breath. Those smaller states still demand their place at the election table. It is difficult to tinker with such time-honored procedures. The sole tinkering came in 1804, when electors were instructed to vote twice, once for president and once for vice-president. Meanwhile, we have to accept the fact that on Monday, December 19, the 538 Electoral College electors met in their respective state capitals to confirm Donald J. Trump as the 45th president of the United States, and Mike Pence as vice-president. We gave Donald Trump and Mike Pence 304 elector votes, well beyond the 270 needed to win. Their Democratic challengers, Hillary Clinton and Tim Kaine, received 227 elector votes. Seven “faithless electors” defected from the voting majority in their state, two from Trump-Pence states and five from Clinton-Kaine states. Blogger John Whitbeck produces a daily group email on matters political. He writes that the seven defectors were the most defectors from a living presidential candidate in Electoral College history. What exactly did the Founding Fathers send down the chimney this 2016 Christmas season? We have been gifted our first unfettered Twitter President. He will say what he wants to say, full speed ahead. His actions will be curtailed by our procedures and laws, but his words will go forth from the world’s most important political office, unfettered. This is a man without a single day’s experience in governance. I have my serious doubts that he has ever walked a precinct. If I am wrong about the precinct-walking, should I expect a correction via Twitter, or in one of his rallies before the faithful? Probably not, but many others, including a former president, will be reprimanded. Trump communicated with disdain and bar room bluster to a criticism from Bill Clinton. He did so via Twitter, a strange way of relating to one of his twice-elected predecessors. There are plenty of strange things emanating from Trump’s Twitter world, mostly revelations of hatred, revenge and anger at anyone who questions or challenges him. What we should not expect from his Twitter feeds and controlled rallies are the essential planning and policies of a Trump administration. Trump has shown no sign he wants to reach the public through our traditional intermediaries, the media (people who ask questions). Our new leader has held no press conference since July 27, 2016. He promised one such conference on December 15, but his minions canceled it. Will Trump hold a press conference after he is inaugurated? Don’t count on it. In an interview with Democracy Now’s Amy Goodman, Robert Reich (left) discussed Trump’s refusal to openly interact with the media. Trump: Russia, if you’re listening, I hope you’re able to find the 30,000 emails that are missing. I think you will probably be rewarded mightily by our press.. . This bantering with a foreign power about an American election, displays an attitude, if continued beyond his inauguration, that will confirm his time in office as uninformed and dangerous. Goodman reminded Reich he had written that Trump seeks “to turn the public against the media”. She played a clip from a Trump rally when Candidate Trump expressed his disdain for the traveling press corps in the building. Trump: You know my opinion of the media. It’s very low. … The press are liars. They’re terrible people. … And the media—look at all those people back there: scavengers. They’re like scavengers. … Show ’em the crowd, press. Show ’em the crowd. Show ’em the crowd. Look, they’re not turning the cameras. They don’t even turn the cameras. They don’t even turn the cameras, because, you know what, they’re very dishonest people. … Disgusting reporters, horrible people. Sure, some are nice. … They’re scum, absolute scum. Remember that. Scum. Donald Trump’s modus operandi seems to be to communicate directly with followers and with the public through tweets and through rallies. And he’s signaled that he wants to continue to use rallies even after January 20th, when he becomes president. Tweets and rallies are designed to belittle those he dislikes and remind his followers why they follow him. This is not presidential. It is not leadership and it is not a responsible way for any adult to behave in the White House or on Main Street. Assuming President Trump maintains his campaign modus operandi, as experience tells us he will, he will communicate through Tweets and rallies while living in his fantasy bubble where what he thinks is supreme, and questions are forbidden. The fear is that . . . what Donald Trump wants, [is] to be able to continue to state things that are simply not true,—doubting climate change, for example, or saying that the CIA report on Russian hacking was not true—and have a larger and larger number of his followers, and, indirectly, their friends and their associates and families, believe him and not believe science and not believe the media, not believe policy analysts and not believe people who are investigative reporters and not believe the actual facts out there, believe this counter-universe that is of Donald Trump’s creation. Will Trump change, once he is inaugurated? Will a man who views the world entirely from his own narrow perspective, who shows no signs of compassion or concern for anyone or anything, outside his own private orbit, would such a man change? Short of a Damascus Road experience, such a man does not change. 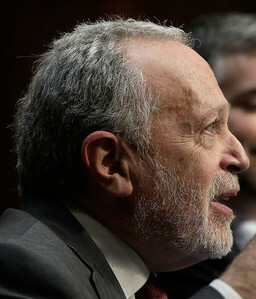 The picture of Robert Reich is by Win McNamee for Getty. The Electoral College map is from Google. Thanks Jim. A long road ahead. Silver linings ought too to be considered. Trump has knocked the MSM down a couple of peg. By continuing to call them out and end-running them with his dishonest tweets, he may squeeze them into a modicum of honesty and objectivity. Too long have we had to endure the zionist, pro-war, pro-CIA, anti-Russian warp. The problems in this election began with the pro-Hillary crowd turning a blind eye to the DNC and their media rigging the nomination against Bernie, and got beaten at their own game. The Democrats lost the election in 2016 because they did not vet their candidate, — Hillary Clinton was the most dangerous candidate for the White House ever presented in American history, because she wanted a no-fly zone over Syria which would have guaranteed nuclear war. She wanted to impose a North American Union on the ruins of Mexico, the United States, and Canada. The American people did not do it to themselves. The Democrats let us all down. The electoral college was never a good idea, but does save us from disaster caused by eccentrics in California and New York. Nor did the Russians throw the election for the Democrats. The only hate in the election came from Democrats who lack moral responsibility to understand their own mistakes. These are sad days, and nobody feels more sadness then I, but I daresay we shall survive. What can a newly eighty-year-old emeritus religion and literature professor do but try to complete another book, this one written from what I am calling “The Holding Room” and much closer to home than my previous memoir set in Palestine’s First Intifada. What counts as a “holding” these days is mixed, and I want to explore a few of them, maybe beginning with Yeat’s center that no longer holds. Just thought of “Slouching toward Bethlehem” with more to come. As you know so well, Jim, the shared written word can be a kind of blessing, a kind of holding on, even a source of hope. Thanks again! Thanks, Jim. This is really amazing how, in the 21st Century, we can have someone carve his way to become the President of a Superpower who can think, falsify, twitter, cheat, and mislead the way Donald Trump does. It is even more mind-boggling and unfathomable how the Zionist leadership in the US and the West was able to create an entire false narrative and manufactured history that is believed by most of mainstream America. Even the Nazis were unable to reach such high levels of manipulation.. In 2017, it will become clear what devastation and what new war crimes the potential convergence of Trumpism and Zionism will wreck in the region. For example, will war-criminal Netanyahu falsely label BDS (Boycott, Divestment, Sanctions, directed at Israel) as ISIL-related and get the support of Tweet-heads in the “House of Darkness”? Hillary’s five biggest contributors were Jewish billionaires. Perhaps voters decided they had enough of kosher politics, ethnic cleansing of the Palestinians, and destabilizing Syria and Libya on HRC’s watch, all for the pleasure and profit of the Chosenites. Trump is a loose cannon, but the Donald appears to be slightly less beholden to Israel and the Jewish State, so let’s be thankful for small things. And let’s all make a resolution for the New Year not be ashamed to be goyim a.k.a. cattle, not to worry about Jews calling us anti-Semitic whenever we speak up about 100 years of unimaginable cruelty towards the Palestinians, to support BDS with all our hearts, and demand equal rights for all people especially Palestinians who have suffered so much from our cowardice. Re-Dorsey’s comment, above, I realize that this is a common and unintentional mistake. I would, humbly and respectfully, like to interject, here, by stating that it is important and vital to distinguish between “Jews” and “Zionists”. An analogy is to also distinguish between ordinary Americans and KKK; or ordinary Germans and Nazis. After all, it was the extremist European “Zionist” colonialists who led many Jews and Christians astray that are to blame for ethnically cleansing Palestine, not “Jews”, as such. On the other hand, I agree totally that it is vital for us to criticize Israeli actions related to all facets of occupation, colonial settlements, apartheid, ethnic cleansing, genocide, invasions, and expansion. I am all for support of BDS and all forms of creative, aggressive, non-violent resistance. I am also for joining hands with Jews and any other people and ethnic groups who support Palestinian freedom, independence, and equality. The Democrats are responsible for the election of Donald Trump. With all the great democrats in this remarkable country they put Clinton as their nominee against Trump. Hilary and Obama did nothing for Palestinians. Hilary allowed the Israelis to continue settling and colonizing the West Bank. She allowed them to practice Apartheid. Obama gave them 38 billion ins weapons to continue enslaving the Palestinians. I doubt Trunp can do much worse. At least if he does he will be transparent and the rest of the world will turn on the USA and Israel. I am obliged to disagree that Mr.Trump will do any positive decisions towards the Palestinians. His tweets are nothing but alarming towards resolving the issue in an equitable way. from building settlements on Palestinian lands. All UN Resolutions were ignored by Israel. relent to Natanyahu; abandoning its obligations towards the Palestinians. any Peace in the Middle East or other regions with conflicts.